View our list of Clinical Trials Master Agreements (U-M login required). Clinical trials are used to determine whether new biomedical or behavioral interventions are safe, efficacious, and effective. (1) U-M has adopted NIH's definition of clinical trials to track and monitor organizational metrics. See full NIH definition with detailed footnotes(link is external). I’m a faculty member or study coordinator and I would like to get my clinical trial started. What is the first step? The first step is to fill out the CTSU Intake Form. The CTSU will then process your CTA and shepherd your trial through the pre-award processes. 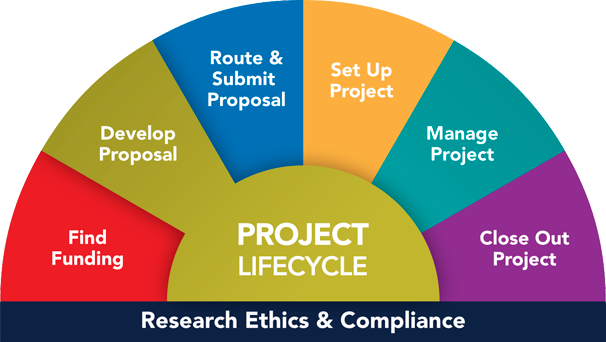 The CTSU works closely with the ORSP project representatives (Debra Dill, Lark Haunert, Tricia Haynes, and Mike McAllister) who specialize in clinical trials. What is a Clinical Trials Support Unit (CTSU)? The CTSUs are trans-departmental business units aligned around common thematics of research. The CTSUs are business units that partner with investigators, their teams, and their departments to ensure the timely and efficient activation and execution of clinical trials at the Medical School. The CTSUs provide the administrative support to allow investigators to focus on the science. More information about the CTSUs is available at the Clinical Trials Support Office website. I have a particular physical condition or medical situation. How can I participate in a clinical trial? Visit https://umclinicalstudies.org(link is external)/ to learn more about Clinical Trial Studies and participation opportunities. I've heard about the Accelerated Clinical Trial Agreement (ACTA). How can I learn more about this for use by my research project team? University of Michigan Supports Adoption of Accelerated Clinical Trial Agreement (ACTA). For those industry partners that agree to use the agreement (and the sponsor must agree to use it), it will decrease contract negotiation time. The other steps, such as budget negotiation, proposal approval form (PAF) processing, and IRB review and approval are still required. And U-M is committed to exploring process improvements and working toward the goal of reducing the total time to opening a clinical trial in all of these areas. The ACTA is a straightforward and unambiguous document that clearly sets forth the contractual obligations of both parties, and presents language which — while perhaps not ideal for either party — is acceptable to both. Adoption and use of the ACTA will expedite the contract negotiation process and reduce the time it takes to start up industry-sponsored, multicenter clinical trials. 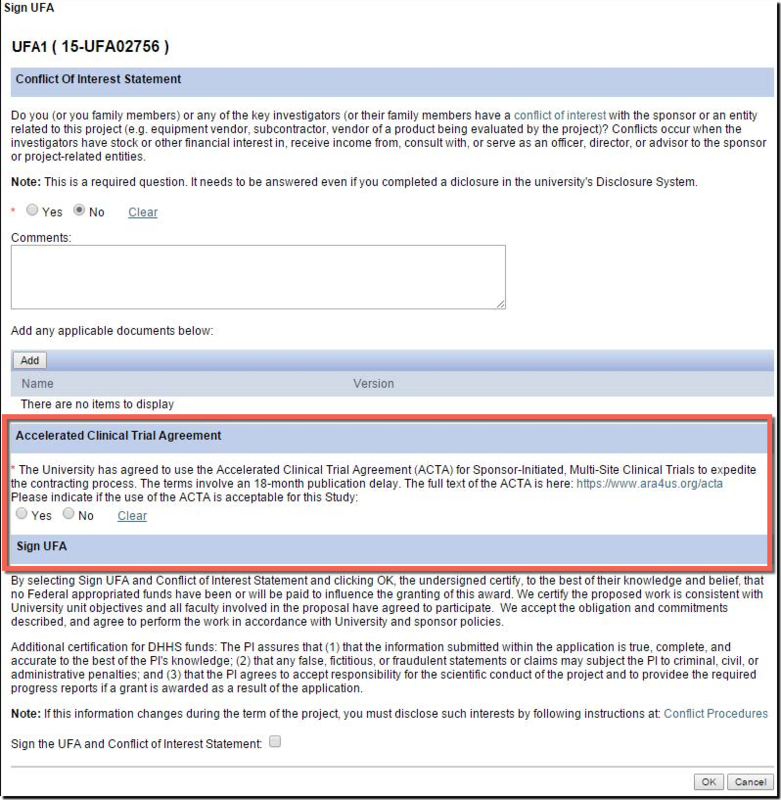 There is a new question in the eResearch Proposal Management System (eRPM) for the PI added to the "Sign UFA" activity where you may indicate that you would like to attempt the use of the ACTA during the UFA process. Answering “Yes” allows ORSP to approach the sponsor to propose the use of the ACTA. Additionally, on the Clinical Trials Routing Form (CTRF), the UFA answer will carry over from the NDA. If not answered, ORSP project representatives can help you later pursue the ACTA. Project Award Notices (PANs) will also carry language to indicate if the ACTA was accepted. Contact one of the following ORSP PRs directly when you have questions, if a Sponsor indicates an interest in using the ACTA, or if a Sponsor would like a template agreement to review. You can review the language in the agreement from the ACTA Website(link is external). The ACTA is not the promise of a full solution to industry-initiated clinical trial contracting, but it can help reduce one part of the process.